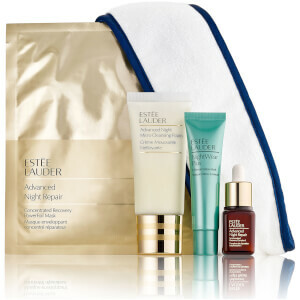 Treat your skin to The Bedside Table Set from Estée Lauder. The four-piece collection combines everything you need to wake up to radiant, youthful and deeply replenished skin. Complete with a drawstring bag. 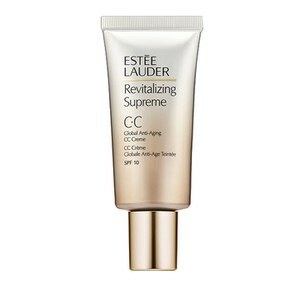 Seeking to combat the daily stresses of modern life – pollution, lack of sleep and long days – this revolutionary anti-ageing eye mask has been infused with the proprietary Advanced Night Repair technology, boasting a concentrated dosage of ChronoluxCB™ to drench skin with moisture and target signs of ageing. 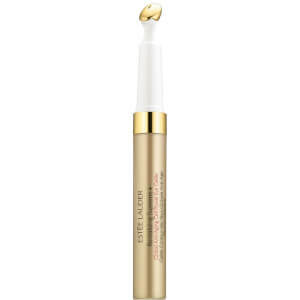 The innovative under-eye treatment creates a plumping effect to combat fatigue, and brightens the appearance of dark circles, resulting in the delicate eye area feeling soothed, rested and radiant. A luxurious formula that delivers long-lasting moisture and hydration for smooth, comfortable lips. Enriched with Shea Butter and Vitamins C and E, the soothing lip treat can be applied under lipstick as a nourishing base coat, or worn overnight as an intensive conditioning treatment. Lips feel soft, supple and kissable after use. Envelop your skin in absolute luxury. The ultra-rich, intensely moisturising cream will create a veil of hydration on your skin, whilst imparting the sensuous scent of light Rose to leave the mind and body feeling perfectly pampered. 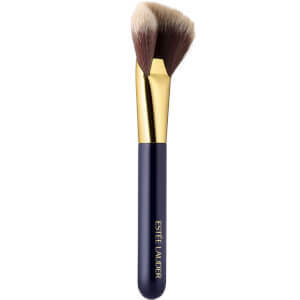 Lightweight, non-greasy and quick-absorbing.